Mark’s family is from Oahu and his aunt has lived here her whole life. I guess Jamie Ford lived here in his advertising days. 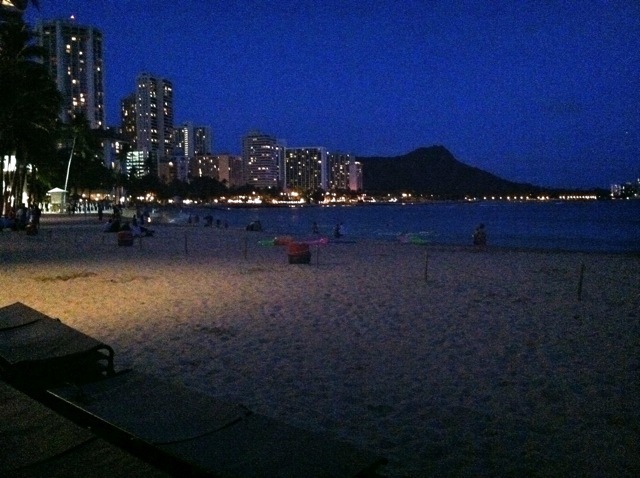 He and his wife came to visit “Auntie and Uncle” on their last vacation to Oahu. Mark’s aunt knows Jodi and Buzz of Belknap Publishing through working together on some projects. Tuesday, we played tourist and went to Waikiki. 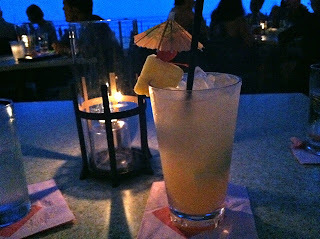 We sat at the Mai Tai Bar at The Royal Hawaiian Hotel and watched the sun set. There’s a doctor’s convention in town so we had to scramble to get a table. It was worth it to see the water and the sunset and to have someone bring us dinner and drinks.